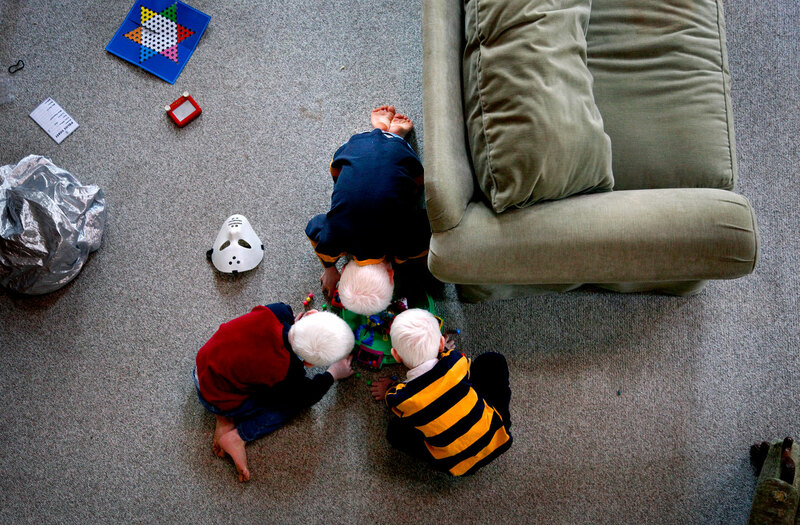 Micah (bottom right) plays with his brothers on his first morning at the Andersons' home in Isle of Wight, Va. Both Elijah and Paul were adopted at age 4. The brothers, who are not biologically related, are often mistaken for triplets.